We’re off to space with Dara! All aboard the laughter shuttle! A bonkers ride to space, launching now from your fave comfy chair. Stop looking down at your phone! Start looking up over your head! 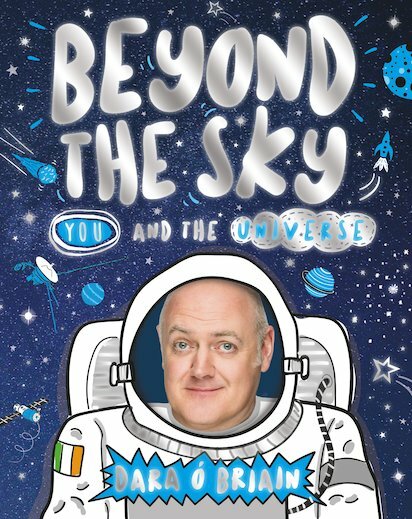 Yep: that’s space, and we’re going there right now with funnyman Dara Ó Briain. Seriously – why not? I mean, right here on Earth we can walk around, breathe, drink tea, eat chocolate and read books. It’s lovely! In space you can get poisoned or crushed to death just by going outside. But on Earth you can’t see flaming stars from (kind of) close up, or zoom through the Milky Way, or walk on the Moon. Right? Travel to the edge of our universe in smart, funny style!